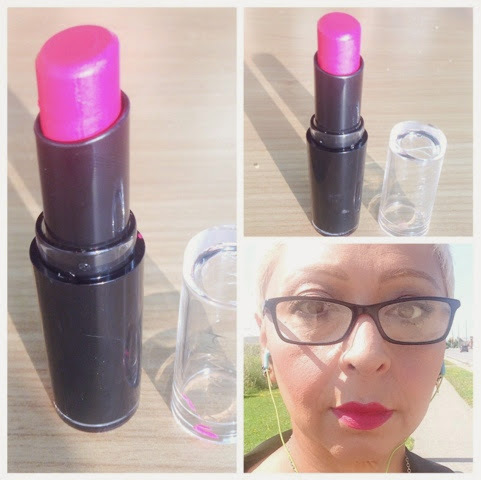 Wet N' Wild Megalast Cherry Picking lipstick is amazingly longwearing, semi-matte, crème finish, Glides on easily, velvety, hydrating, smooth texture, contains vitamins A & E and only $2.47 at Walmart. I think I will go and get myself a few more colours. For the price, the packaging is ok, a little weak but the formula is amazing...I will depot and put them into a lipstick palette...yes they are MUA kit worthy.